Tammie is an experienced labor and employment lawyer with a broad scope of practice that includes both litigation and traditional labor law. 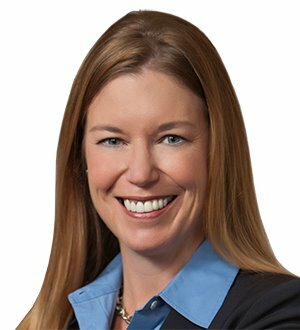 Tammie has represented clients in both union and union-free environments, providing legal counseling and support to meet the client's objectives. Her experience includes providing legal representation throughout collective bargaining, arbitrations, NLRB trials, and union campaigns. Tammie also frequently represents clients in employment litigation, having successfully defended a broad array of claims including discrimination, harassment, retaliation, whistle-blower, and wage and hour, and she has tried cases to both federal and state court juries. Tammie's practice crosses a number of industries, although she focuses primarily on healthcare, hospitality, retail, education, and professional employer organizations. She also enjoys lecturing and training, and has presented a wide variety of topics to clients as well as industry organizations. Tammie is Florida Bar Certified in Labor and Employment Law. She is a member of the firm's Healthcare Practice Group, and she serves on the Labor Lawyers Advisory Committee for the Council for a Union-Free Environment. Tammie is actively involved in the Tampa Bay area, and is a graduate of Leadership Tampa Bay.